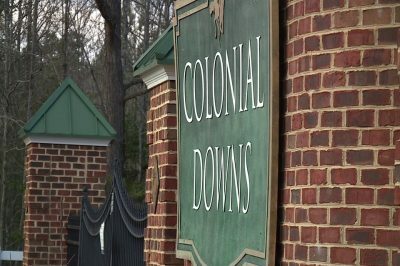 According to the new owners of Colonial Downs, the casino-style facility which is being established at the New Kent County-situated racetrack will start operation next week, about a year after a piece of legislation set to make the new venture legal was passed by Virginia lawmakers. The new facility is called Rosie’s Gaming Emporium and is set to offer 600 historical horse racing machines, as well as a simulcast horse racing, a bar and a restaurant. As revealed by the new owners of the Colonial Downs racetrack, the casino-style facility will open doors on April 23rd at 11:00 AM. The Rosie’s Gaming Emporium is to offer the so-called “historical horse racing machines”, which pretty much resemble traditional slot machines but are powered by an archive of past horse races. The machines have been considered a vital part of the plan of Virginia lawmakers to revive horse racing in the state. The Colonial Downs racetrack, which is situated in New Kent County, was acquired by a Chicago-based operator in 2018. Since then, the company has reported spending over $300 million to shutter and revamp the place, while at the same time adding a number of off-track gambling parlors across the state. Another Rosie’s facility is planned to start operation in the town of Vinton, Roanoke County in May 2019, and a third one is being set to open in South Richmond in June. Two more facilities are expected to open doors in Hampton and Chesapeake. As previously reported by CasinoGamesPro, the Virginia Racing Commission gave the nod to the project in December 2018, finally providing the new owners of the racetrack with gambling and racing licenses. The addition of the historical horse racing machines has brought some controversy in the region. The thing is that anti-gambling campaigners have warned that the terminals could not be actually distinguished from regular slot machines that are currently illegal in Virginia under state law. Still, representatives of Colonial Downs have insisted that the historical horse racing terminals differ from slot machines because they operate under a pari-mutuel wagering system, which makes players compete against each other, without them wagering against the house. The return of horse racing to Colonial Downs, however, has been considered more of a positive event, especially after the operating license for the racetrack was surrendered by the place’s previous owners in 2014. 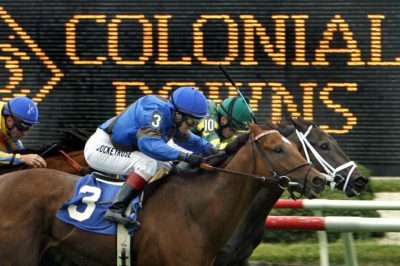 The terminals that are to be available at Colonial Downs racetrack will offer bets ranging from $0.20 to $15 per spin. Payouts, on the other hand, will depend on the size of the betting pools. Live racing will also be available, with the first day of the activity at the track being set for August 8th. An overall number of 3,000 historical gambling machines has been permitted to be operated statewide by the gambling regulatory body of Virginia.